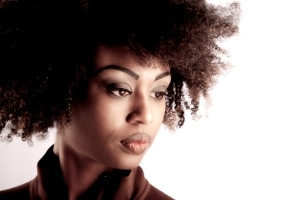 For more curly hair tips, read about what to watch out for when caring for our curly coifs. One of the most common curly hair tips that curly q’s know like the back of their hands is to moisturize their hair. Yet what products work and how do we use them? Trial and error is really the key to finding the products that work for your particular hair type, yet one product that is worth a trial (and hopefully not an error) is African shea butter. What is African Shea Butter? Shea Butter is a fat derived from the fruit of the karite tree in Africa. Reviewing the Cosmetics Database, as it stands now, shea butter has a toxicity rating of 0 and its scientific name is BUTYROSPERMUM PARKII. Hopefully, more research can be done on this product so more benefits can be found for its use. What I find really special about shea butter is its versatility. It’s a one stop product for sealing skin and hair moisture. While water is the true moisturizer, a fat/oil can seal that moisture in your hair. So instead of spending gobs of money on five products for moisturizing seven parts of your body, you can use just one. Naptural85 on youtube has a shea butter hair care recipe. Her tightly coiled hair becomes soft, shiny and manageable after application. In Nappturosity, Erin Shell Anthony outlines a honey butter conditioner, using shea butter, coconut oil, honey, and your choice of essential oils. Nappturosity, also includes a recipe for a Whipped Coconut Cream Treatment, using shea butter as well. I like the idea of not having to worry. Worrying about the long term chemical effects of a product is irrelevant when using shea butter since it truly is natural. For more benefits of shea butter, you can go to treasuredlocks.com and read about it.